Took no part, Meyer, J. District court erred when it subordinated a contractor�s mechanic�s lien to a mortgage after the contractor failed to name the mortgagee as a defendant in a mechanic�s lien foreclosure action commenced within the one-year time period set forth in Minn. Stat. � 514.12, subd. 3 (2006), because the mortgagee was not a party who must be joined in such an action within one year in order for the lien to be enforceable. Approximately four months after filing a mechanic�s lien statement against Rodney and Karla Eggink�s real property and serving a copy of the statement on the Egginks, Mavco, Inc. commenced an action in Sherburne County District Court to foreclose its lien. Three days before Mavco filed its complaint, summons, and notice of lis pendens, the Egginks granted a mortgage on their property to Wells Fargo Bank. More than two months after Mavco commenced its action, Wells Fargo recorded its mortgage. Mavco was unaware of the mortgage when it filed its complaint and summons and did not name Wells Fargo as a defendant in its foreclosure action. Mavco later learned of Wells Fargo�s mortgage but did not join Wells Fargo in its foreclosure action within the one-year timeframe set forth in Minn. Stat. � 514.12, subd. 3 (2006). In the meantime, Mavco and the Egginks reached a mediated settlement, but the Egginks failed to pay Mavco as agreed. Mavco then moved the district court to, among other things, grant Mavco leave to file a supplemental complaint against Wells Fargo and award Mavco�s lien priority over all other liens on the property. The court denied Mavco�s motion as to the supplemental complaint and awarded Wells Fargo�s mortgage priority over Mavco�s lien. Mavco appealed to the court of appeals, which affirmed. We reverse. In 2003, respondents Rodney and Karla Eggink retained appellant Mavco, Inc. d/b/a Mavco Construction to provide labor and material to improve their real property in Sherburne County. Mavco worked on the property from May 20 to November 26. When the Egginks failed to pay for part of the work, Mavco filed a mechanic�s lien statement with the Sherburne County Recorder pursuant to Minn. Stat. � 514.08, subd. 2 (2006), and served a copy of the lien statement on the Egginks by certified mail. County records indicate that the mechanic�s lien statement was recorded on January 23, 2004, within the statutory time period, and the statement indicates that November 26, 2003, was the last day on which Mavco provided labor and materials to improve the Egginks� property. It is apparently undisputed that the lien statement was properly filed, served, and recorded. On May 14, 2004, the Egginks refinanced their debt on the property and granted a mortgage to respondent Wells Fargo Bank, N.A., which mortgage replaced two outstanding obligations to mortgagee Vermillion State Bank. Wells Fargo did not immediately record its mortgage. Three days after the Egginks granted the mortgage to Wells Fargo, Mavco commenced a mechanic�s lien foreclosure action by filing a complaint and summons in Sherburne County District Court. Mavco�s complaint named as defendants the Egginks and four other entities whose interests in the property were then of record. One of these entities was Vermillion State Bank, which still had of record its two mortgages on the Egginks� property�one dated February 12, 2001, and the other dated August 9, 2002. Wells Fargo was not among the parties named in Mavco�s complaint. Shortly after commencing its foreclosure action, Mavco filed with the Sherburne County Recorder a notice of lis pendens, as required by Minn. Stat. � 514.12, subd. 1 (2006), and the notice was recorded on May 19. The Egginks were the only defendants who answered Mavco�s complaint. In their answer, dated June 30, the Egginks (1) denied that Vermillion State Bank had any mortgages on the property as alleged in Mavco�s complaint; and (2) alleged that Wells Fargo had a mortgage on the property. On July 28, Wells Fargo recorded its mortgage with the Sherburne County Recorder. On August 5, Mavco served interrogatories on the Egginks, asking them to disclose the names of �all mortgag[ee]s who have had a lien on the property� since the Egginks acquired it. On November 3�approximately three weeks before the one-year anniversary of Mavco�s last day of work on the property�the Egginks responded, stating that the two mortgages previously held by Vermillion State Bank �were replaced in full by the May 14, 2004 mortgage to Wells Fargo.� Mavco did not join Wells Fargo as a party to its action after receiving the Egginks� responses to its interrogatories. In January 2005, Mavco and the Egginks reached a mediated settlement under which the Egginks agreed to satisfy Mavco�s lien claim by paying Mavco 0,000 on or before March 5, 2005. The settlement agreement provided that if the Egginks failed to pay, judgment would be entered granting a lien on the property in the amount of 0,000 plus attorney�s fees and costs. The Egginks failed to make the agreed-upon payment, and Mavco moved the district court for an order that would (1) allow Mavco to file a supplemental complaint joining Wells Fargo as a party; (2) grant Mavco a lien in the amount of 0,000 plus attorney�s fees and costs; (3) award Mavco�s lien priority over all other liens on the property; and (4) order the Egginks� property sold. Following a hearing, the district court granted Mavco�s motion with respect to the 0,000 lien and ordered that the parties abide by the settlement agreement. But the court reserved judgment on Mavco�s motion for a forced sale of the property and ordered that Wells Fargo�s mortgage take priority over Mavco�s lien. In support of its order, the court cited Morrison County Lumber Co. v. Duclos, 138 Minn. 20, 24, 163 N.W. 734, 736 (1917) for the proposition that a mechanic�s lien is inferior to the interest of any party whom a lienholder did not join in its foreclosure action within one year after the lienholder�s last day of work. The court also denied Mavco�s request for leave to file a supplemental complaint, concluding that Mavco could not use Minn. R. Civ. P. 15.03 to �circumvent� the one-year time limit set forth in section 514.12. Mavco appealed the district court�s rulings on the lien priority and supplemental complaint issues, and a divided Minnesota Court of Appeals panel affirmed as to both issues. Mavco, Inc. v. Eggink, 720 N.W.2d 841, 844 (Minn. App. 2006). We granted Mavco�s petition for further review in order to address the following questions: (1) whether Minn. Stat. � 514.12, subd. 3, operates to subordinate Mavco�s lien to Wells Fargo�s mortgage; and (2) whether Mavco can file a supplemental complaint against Wells Fargo that �relates back� under Minn. R. Civ. P. 15.03 to Mavco�s original complaint. Whether the district court properly subordinated Mavco�s mechanic�s lien to Wells Fargo�s mortgage under Minn. Stat. � 514.12, subd. 3, and certain related statutes is a question of law we review de novo. See Ryan Contracting, Inc. v. JAG Investments, Inc., 634 N.W.2d 176, 181 (Minn. 2001). We have stated that the one-year time limit under section 514.12, subd. 3, �is a requirement for the creation of a lien action� and as such, must be strictly construed. Ryan Contracting, 634 N.W.2d at 183-84. Subdivision 1. Recording. At the beginning of the action the plaintiff shall file for record with the county recorder * * * a notice of the pendency thereof * * * . Mavco argues that when section 514.12 is read as a whole and in the broader context of Minn. Stat. ch. 514, it is apparent that the only persons who must be joined in a mechanic�s lien foreclosure action within one year, in order for the lien to be enforceable against them, are persons who have an interest of record at the time the action is commenced. More specifically, Mavco asserts that a mechanic�s lien claimant is not precluded from enforcing its lien against another party more than one year after the completion of work if the other party did not record its interest in the subject property before the commencement of the action. Wells Fargo argues that section 514.12, subd. 3, must be strictly construed and that under the statute�s plain language as historically applied by Minnesota courts, a lien claimant�s failure to join any person with an interest in the subject property within one year results in the lien being unenforceable against that person. Amici Curiae Minnesota State Bar Association Construction Law and Real Property Law Sections (MSBA) assert that mechanic�s lienholders are the only persons against whom a mechanic�s lien may not be enforced after the one-year period for commencing a mechanic�s lien foreclosure action has expired. Our analysis of the foregoing arguments draws on several key principles of statutory construction. First, �[t]he object of all interpretation and construction of laws is to ascertain and effectuate the intention of the legislature.� Minn. Stat. � 645.16 (2006). Second, � �[w]hen the language of a statute is plain and unambiguous, that plain language must be followed.� � Am. Family Ins. 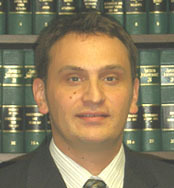 Group v. Kiess, 697 N.W.2d 617, 620 (Minn. 2005) (quoting Vlahos v. R & I Constr. of Bloomington, Inc., 676 N.W.2d 672, 679 (Minn. 2004)). Finally, we are required �to read a particular [clause] in context with other [clauses] of the same statute in order to determine the meaning of the particular [clause].� ILHC of Eagan, LLC v. County of Dakota, 693 N.W.2d 412, 419 (Minn. 2005); see also Van Asperen v. Darling Olds, Inc., 254 Minn. 62, 74, 93 N.W.2d 690, 698 (1958) (�[T]he legislature must be presumed to have understood the effect of its words and intended the entire statute to be effective and certain.�). Minnesota Statutes � 514.12 consists of three subdivisions, the third of which has three clauses. For the reasons set forth below, we agree with much of MSBA�s reasoning regarding the way in which these subdivisions and clauses interrelate to support a conclusion that mortgagees are not in the class of interest holders who must be joined in a mechanic�s lien foreclosure action within one year in order for the lien to be enforceable against them. We now turn to the second clause of section 514.12, subd. 3, which provides, �no person shall be bound by any judgment in such action unless made a party thereto within the year.� The antecedent to �the year� in this second clause is plainly the year within which a mechanic�s lienholder must commence its lien foreclosure action under the first clause of subdivision 3. Based partly on this reference to the first clause, we conclude that the word �person� in the second clause denotes only a mechanic�s lienholder and not a mortgagee or other encumbrancer, given that mechanic�s lienholders are the only persons who must enforce their interests in the subject property within the specified one-year period by filing either a complaint or an answer in a lien foreclosure action. Our conclusion finds further support in section 514.11, which plainly states that other mechanic�s lienholders are the only persons whom a mechanic�s lien claimant must name as defendants at the commencement of a lien foreclosure action. We agree with MSBA that when viewed in the context of section 514.12 as a whole and in the broader context of Minn. Stat. ch. 514, the underlying purpose of the second clause of section 514.12, subd. 3, is to ensure that all mechanic�s lien claims arising from an improvement to real property are joined in one action within one year of each lienholder�s last day of work. 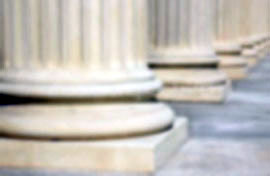 As MSBA notes, despite the requirement in section 514.11 that a mechanic�s lien claimant name all other mechanic�s lienholders as defendants at the commencement of a mechanic�s lien foreclosure action, another mechanic�s lienholder could be omitted from the complaint because of inadvertence on the claimant�s part or because the omitted lienholder recorded its lien statement after the claimant filed its complaint and summons. Interpreting �no person� in the second clause of section 514.12, subd. 3, to mean �no other mechanic�s lienholder� is consistent with the requirement set forth in section 514.12, subd. 2, that courts adjudicate only one foreclosure action for all liens arising from the improvement of the subject property. Given that the district court must determine the relative priority of all mechanic�s lien claims in one action and ensure that the various lien claimants share accordingly in the proceeds from an eventual foreclosure and sale of the subject property, it is logical that the second clause of section 514.12, subd. 3, would provide that any mechanic�s lienholder not joined in a lien foreclosure action within one year of its last date of work will not receive the benefit of the mechanic�s lien foreclosure action. and, as to a bona fide purchaser, mortgagee, or encumbrancer without notice, the absence from the record of a notice of lis pendens of an action after the expiration of the year in which the lien could be so asserted shall be conclusive evidence that the lien may no longer be enforced and, in the case of registered land, the registrar of titles shall refrain from carrying forward to new certificates of title the memorials of lien statements when no such notice of lis pendens has been registered within the period. Unlike the first and second clauses, which appear to be directed to mechanic�s lienholders for the reasons we identified above, this third clause is directed by its first three words��and, as to��to a different class of persons: bona fide purchasers, mortgagees, and encumbrancers without notice. As an initial matter, we note that this clause would be purposeless if we were to interpret the word �person� in the second clause to mean all persons who have an interest in the subject property because under such an interpretation, every purchaser, mortgagee, and encumbrancer would have to be joined in a mechanic�s lien foreclosure action within one year or the mechanic�s lien would be unenforceable against them. We generally reject interpretations that render statutory language purposeless. See, e.g., Am. Family Ins. Group v. Schroedl, 616 N.W.2d 273, 277 (Minn. 2000) (noting that in statutory construction, �no word, phrase, or sentence should be deemed superfluous, void, or insignificant.� (quotation marks omitted)). Further, we note that this third clause expressly applies only when the record contains no notice of lis pendens within the year during which a mechanic�s lien of record could be enforced under the first clause of section 514.12, subd. 3. In essence, the third clause of section 514.12, subd. 3, creates a statutory safe harbor for bona fide purchasers, mortgagees, and encumbrancers without notice by assuring them that if a notice of lis pendens of an action to foreclose a mechanic�s lien is not of record within one year of the lienholder�s last day of work on the property, that lien may no longer be enforced. We recognize that the interpretation of section 514.12, subd. 3, that we articulate today can be construed as a departure from past cases in which we have held that a mechanic�s lien ceases to exist against mortgagees and the holders of other non-mechanic�s lien interests who are not joined in a lien foreclosure action within the one-year period set forth in the current statute or its predecessor. See, e.g., Falconer v. Cochran, 68 Minn. 405, 407, 71 N.W. 386, 386-87 (1897) (holding that a mechanic�s lien not asserted against a mortgagee within one year is unenforceable against the mortgagee); see also Thompson Plumbing Co. v. J.E.C., Inc., 422 N.W.2d 26 (Minn. App. 1988); Lyman Lumber Co. v. Dior Development, Inc., 409 N.W.2d 30 (Minn. App. 1987), rev. denied (Minn. Sept. 30, 1987). In particular, two such cases, Morrison County Lumber Co. v. Duclos, 138 Minn. 20, 163 N.W. 734 (1917), and Ryan Contracting, Inc. v. JAG Investments, Inc., 634 N.W.2d 176 (Minn. 2001), are discussed at some length by the parties to the present dispute. In Morrison County Lumber, a mechanic�s lienholder began work on a parcel of real property and filed his mechanic�s lien statement after a bank executed and recorded its first mortgage on the property. 138 Minn. at 21; 163 N.W. at 735. After the lien statement was filed, the bank executed and recorded a second mortgage on the property, and, �in ignorance of the lien claims, satisfied the [first] mortgage.� Id. at 22; 163 N.W. at 735. Sometime thereafter, the lien claimant commenced a mechanic�s lien foreclosure action but did not timely join the bank. Id. ; 163 N.W. at 735. We held in Morrison County Lumber that the claimant�s mechanic�s lien ceased to exist as against the bank on the expiration of the one-year anniversary of the last date of work on the property. Id. at 24; 163 N.W. at 736. [A]lthough [the lienholder] filed its complaint within one year from its last day of work, it did not serve [the owner] within that one year. Therefore, [the lienholder�s] lien action against [the owner] ceased to exist one year from [the lienholder�s] last day of work. See, e.g., Thompson Yards, Inc. v. Standard Home Bldg. Co., 161 Minn. 143, 146-47, 201 N.W. 300, 302 (1924) (�[O]ne is not a party to an action until he is in a position to be bound by the judgment therein. That does not come about until the court acquires jurisdiction of his person by the service on him of the summons or by his voluntary appearance.�); Smith [v. Hurd], 50 Minn. [503,] 507, 52 N.W. [922,] 922 [(1892)] (�[W]hen [a lien] action is commenced as to any defendant there must be an existing cause of action against him, and the right to a remedy upon it.�); Steinmetz v. St. Paul Trust Co., 50 Minn. 445, 447, 52 N.W. 915, 915 (1892) (�Of course, no judgment to enforce a lien against the land could be rendered unless the owner is made a party by being brought into the action.�); see also Guillaume & Assocs., Inc. v. Don-John Co., 336 N.W.2d 262, 264 (Minn. 1983) (�We have strictly interpreted the time limitations [of the lien statutes] insofar as they determine when a lien is established and when it terminates.�). Id. at 184. We further concluded that the owner�s actual knowledge of the foreclosure action was not a sufficient basis on which to subject the owner to personal jurisdiction under the mechanic�s lien statutes. Id. at 183. While the facts in the aforementioned cases may differ from those we confront here, we acknowledge that Morrison County Lumber, Ryan Contracting, and other cases contain language to the effect that a mechanic�s lien cannot be enforced against any person with an interest in the subject property that is not made a party to the foreclosure within the one-year time period. To the extent that these cases rely on section 514.12�s one-year time limit as a basis for precluding a mechanic�s lien claimant from enforcing its lien against any person other than another mechanic�s lienholder�when the mechanic�s lien claimant has otherwise met the statutory requirements for commencing a mechanic�s lien foreclosure action�these cases are overruled. Importantly, we will continue to strictly enforce the one-year time limit with respect to joining those persons deemed necessary parties to a mechanic�s lien foreclosure action under section 514.12�namely, other mechanic�s lienholders. With the foregoing analysis in mind, we must now apply section 514.12, subd. 3, to the facts of this case. It is apparently undisputed that Mavco properly commenced its mechanic�s lien foreclosure action by filing a complaint, summons, and notice of lis pendens within one year after its last date of work on the Egginks� property. Consequently, the first clause of subdivision 3 provides no basis for a conclusion that Mavco�s lien is unenforceable against Wells Fargo. Further, because Wells Fargo is a mortgagee and not a mechanic�s lienholder, Wells Fargo is not a person who, under the second clause, �shall not be bound by any judgment in [the mechanic�s lien foreclosure] action unless made a party thereto within the year.� Finally, Mavco�s mechanic�s lien is not rendered unenforceable against Wells Fargo by the third clause of subdivision three, because Mavco filed a notice of lis pendens before �the expiration of the year in which the lien could be so asserted.� For all of these reasons, we conclude that Minn. Stat. � 514.12, subd. 3, does not bar Mavco from seeking to enforce its lien against Wells Fargo despite the fact that Mavco did not join Wells Fargo in its lien foreclosure action within one year after Mavco�s last day of work. While we need look no further than the language of section 514.12 to support our conclusion to reverse the district court, we also note that to do otherwise on the facts of this case would require us to contravene the Minnesota Recording Act, Minn. Stat. � 507.34 (2006), and the lis pendens statute, Minn. Stat. � 557.02 (2006). The Recording Act states that �[e]very conveyance of real estate * * * [that is not] recorded shall be void * * * as against any attachment levied thereon * * * of record prior to the recording of such conveyance.� Minn. Stat. � 507.34. �Under the Minnesota Recording Act, a bona fide purchaser who records first obtains rights to the property which are superior to a prior purchaser who failed to record.� Chergosky v. Crosstown Bell, Inc., 463 N.W.2d 522, 524 (Minn. 1990). Here, Mavco�s notice of lis pendens was recorded more than two months before Wells Fargo recorded its mortgage. The purpose of a notice of lis pendens is to provide �notice of the pendency of the action * * * to purchasers and encumbrancers of the rights and equities of the [filing] party.� Minn. Stat. � 557.02. Accordingly, Wells Fargo is not a bona fide purchaser under the �race-notice� approach codified by the Minnesota Recording Act and therefore, Mavco�s lien must take priority over Wells Fargo�s mortgage absent other procedural or substantive barriers to enforceability. See Black�s Law Dictionary 1286 (8th ed. 2004) (�A [race-notice statute] provid[es] that the person who records first, without notice of prior unrecorded claims, has priority.�). Further, our analysis of the implications of the Recording Act for this case is consistent with cases outside the mechanic�s lien context in which courts have subordinated a mortgage that was executed before�but recorded after�another claimant filed a notice of lis pendens. For example, in United States v. Premises Known as 7725 Unity Ave. N., Brooklyn Park, Minn., the Eighth Circuit held that under Minnesota law, a mortgagee�s interest is junior to the government�s civil forfeiture claim if the government files a notice of lis pendens after the mortgage is executed but before the mortgage is recorded. 294 F.3d 954, 956-57 (8th Cir. 2002). Similarly, in Fingerhut Corp. v. Suburban Nat�l Bank, the Minnesota Court of Appeals held that a mortgagee is a subsequent encumbrancer to a corporation suing a former employee for a constructive trust in the subject property when the corporation files a notice of lis pendens after a mortgage is executed but before the mortgage is recorded. 460 N.W.2d 63, 65-66 (Minn. App. 1990). For all of the foregoing reasons, we hold that the district court improperly subordinated Mavco�s lien to Wells Fargo�s mortgage after erroneously concluding that Minn. Stat. � 514.12, subd. 3, barred Mavco�s enforcement of its lien against Wells Fargo. Minn. R. Civ. P. 81.01, and Appendix A thereto, provide that the rules of civil procedure do not govern practice and procedure in mechanic lien actions insofar as the rules are inconsistent with the statutes. See Ryan Contracting, Inc., 634 N.W.2d at 181. Further, the rules of civil procedure cannot be used to circumvent the provisions of the mechanic�s lien statutes. Lyman Lumber Co. v. Dior Development, Inc., 409 N.W.2d 30 (Minn. App. 1987). Because the court concluded that Minn. R. Civ. P. 15.03 was in conflict with the one-year time limit for enforcing a mechanic�s lien foreclosure action under section 514.12, subd. 3, the court never determined whether Mavco would otherwise meet the requirements for filing a supplemental complaint against Wells Fargo. See Minn. R. Civ. P. 15.03 (setting forth criteria for when an amendment relates back to the original pleading). In light of our opinion today, the one-year time limit set forth in section 514.12, subd. 3, is not a barrier to Mavco�s efforts to enforce its mechanic�s lien against Wells Fargo. Accordingly, section 514.12, subd. 3, does not conflict with Minn. R. Civ. P. 15.03 as a matter of law. Without deciding whether Mavco meets the criteria required to file a supplemental complaint under Rule 15.03, we remand to the district court for further proceedings consistent with this opinion.